*Less than a year after scoring his first No. 1 album ever with “Blurred Lines,” Robin Thicke will follow it up with a new album due July 1 through Star Trak/Interscope Records. 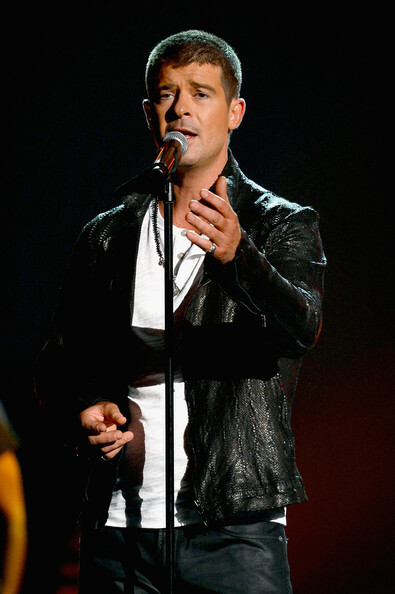 Thicke has already released the single “Get Her Back” from the album, debuting the song live at the 2014 Billboard Music Awards (watch below) and performing it again on “The Voice” on Tuesday (May 20). The song is believed to be a plea to Thicke’s estranged wife, Paula Patton. Thicke has yet to reveal the album’s title, track list and artwork.